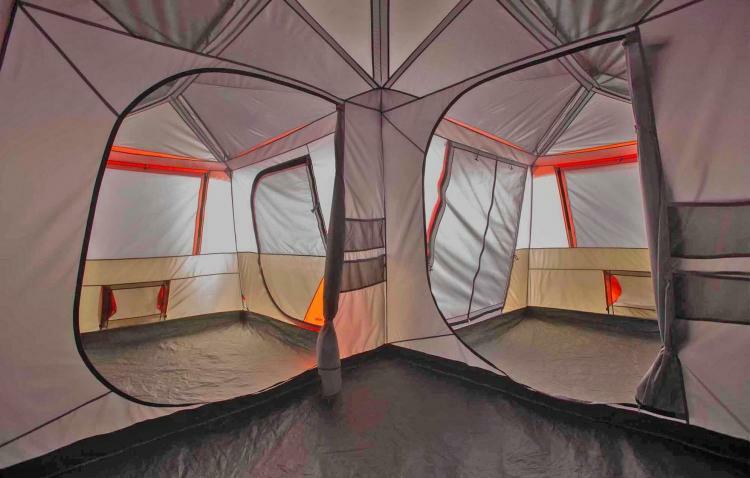 If you haven't already bought the giant house tent that's pretty much a full home in tent form, you may want to at least fall back on this 3-room tent. 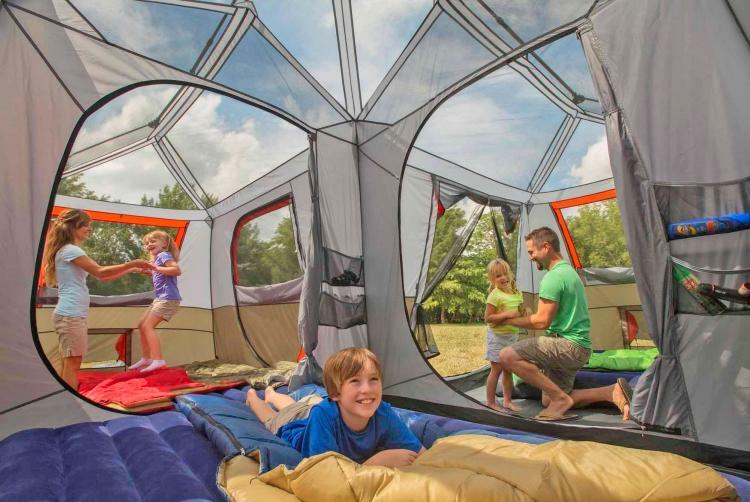 If you're someone who needs plenty of extra room in their camping tent for large families (and more), someone who loves glamping, or someone who just never leaves their tent, a camping tent with a bunch of extra room might be for you. 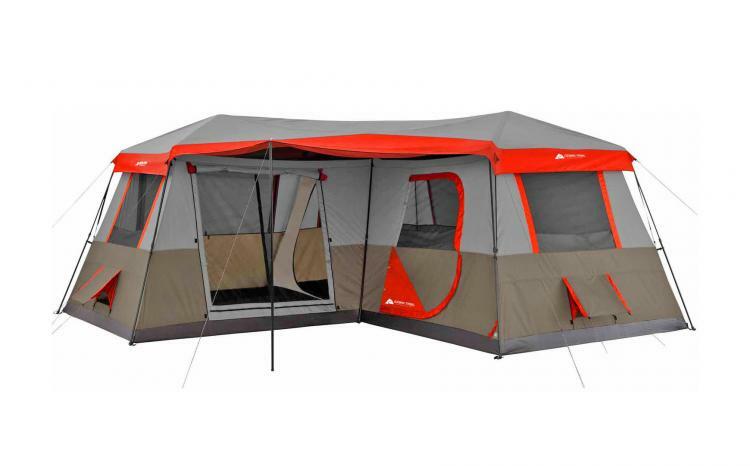 This camping tent by Ozark Trail has 3 different rooms to it, and can easily and comfortably fit a large family in one single tent. 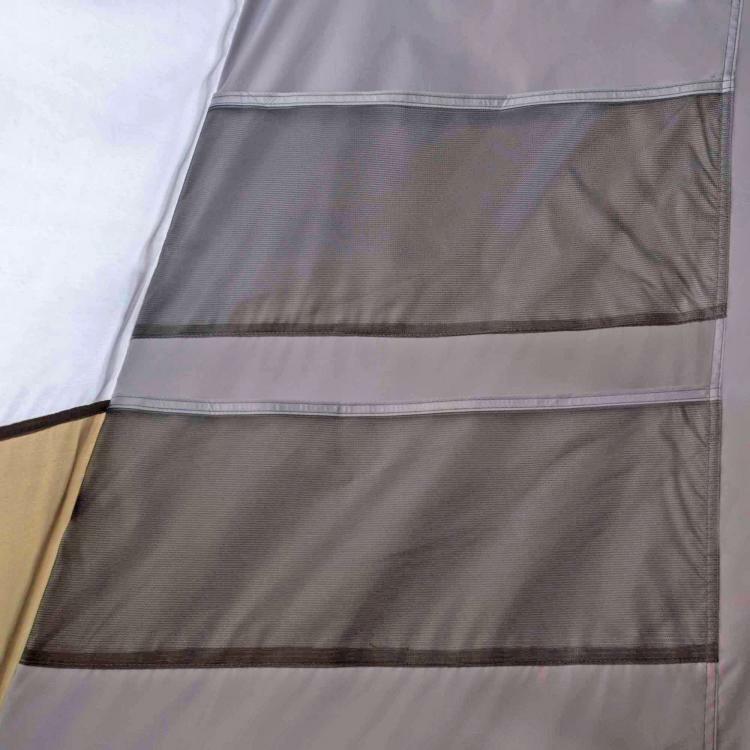 Best of all, there's even a large front awning on the front of the tent if you'd like to be outside, but still want some shade or protection from the rain. 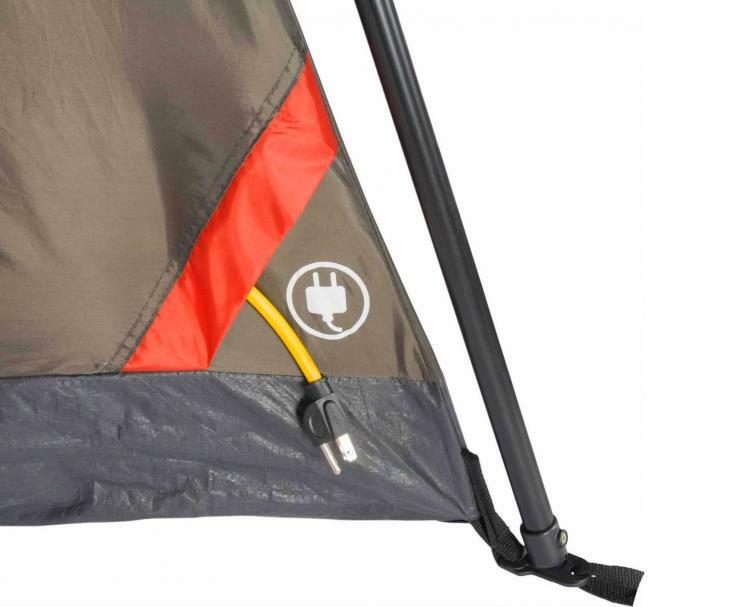 Able to comfortably fit up to 12 people, the 3-room L-shaped camping tent easily sets up in under 2 minutes as the poles come pre-attached. 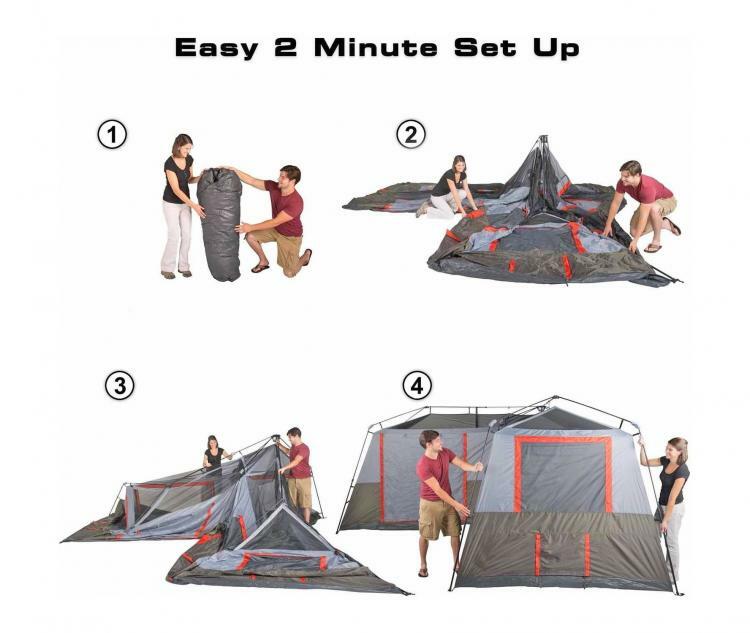 So you can just unfold the tent and extend it out to set it up super quickly. 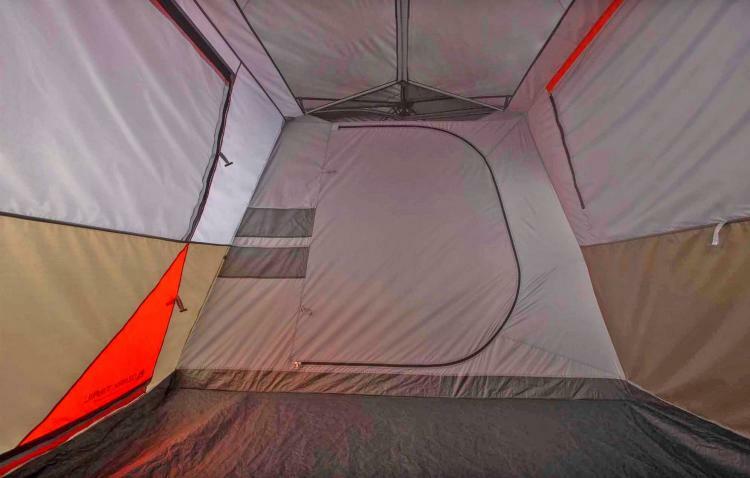 The giant 3-room camping tent comes with 7 fully closeable windows, can fit up to 3 queen size air-mattresses with 2 extra sleeping positions in each room, and it comes with a rainfly to protect against the weather. 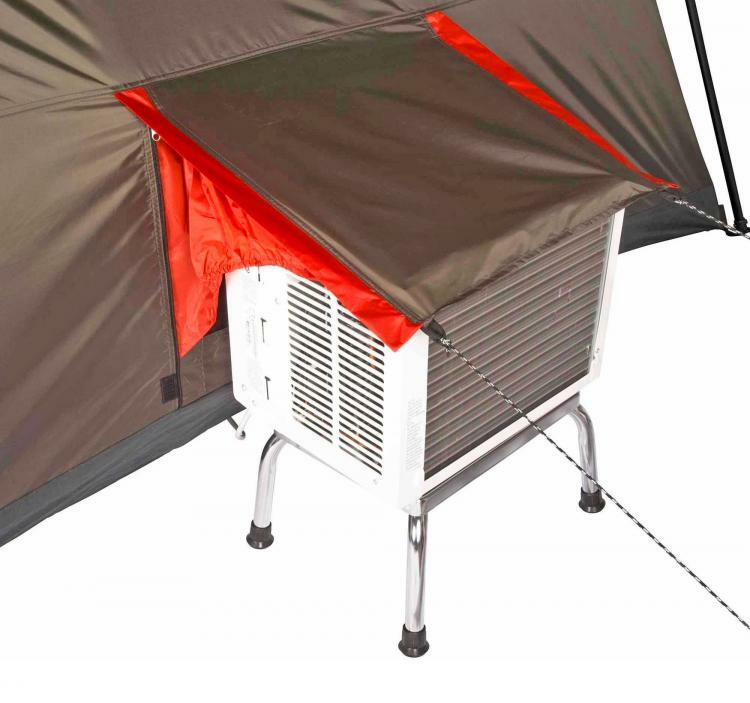 The Ozark Trail 3-room tent measures 16 feet x 16 feet when fully setup, has two internal dividers to separate each room, and it even has an option to install an air-conditioner using an over-sized ground vent on the tent. 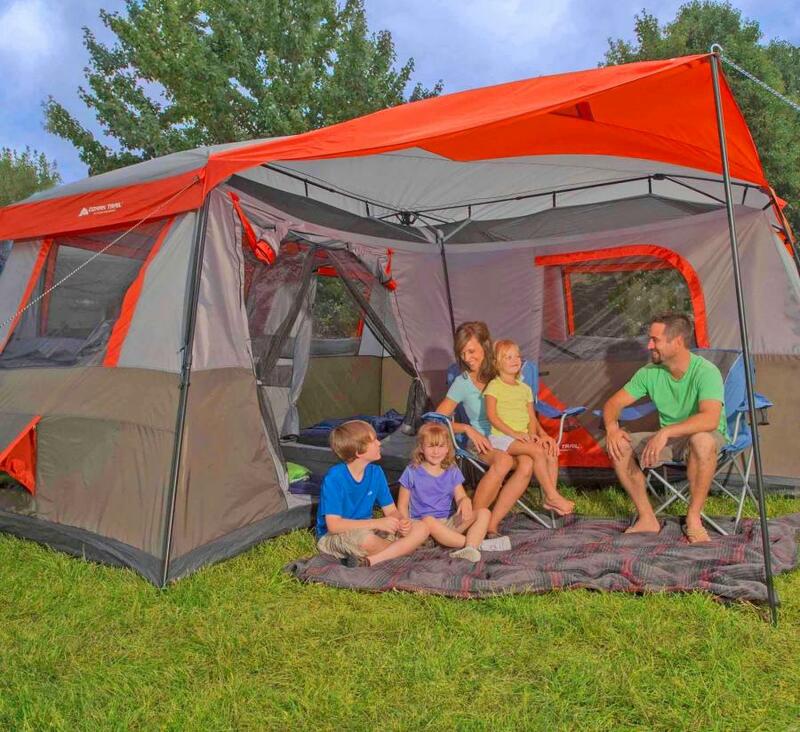 The giant 12-person 3-room tent comes with a wheeled carrying case that makes it super easy to haul around to and from your campsite. 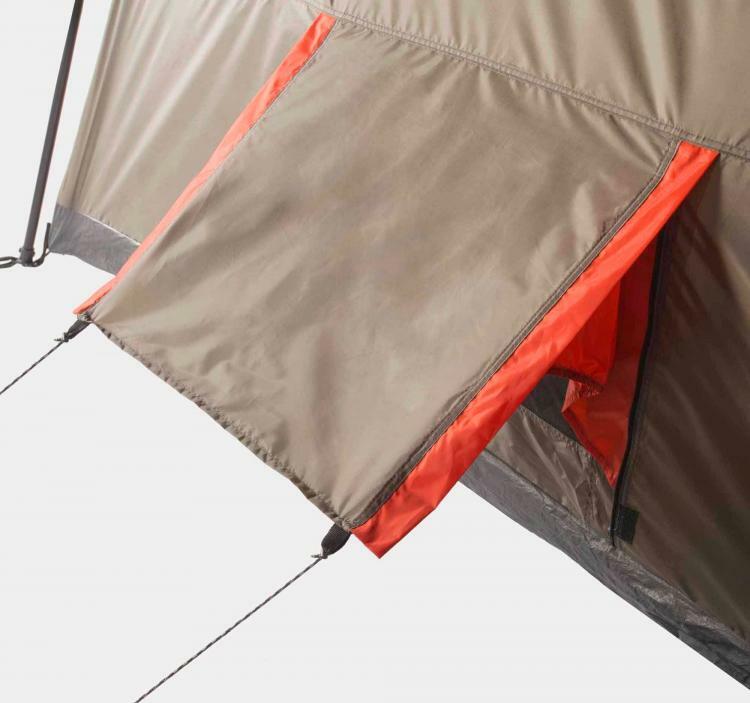 The tent has a center point height of 6.8 feet, so you'll even be able to fully stand up comfortably inside the tent. 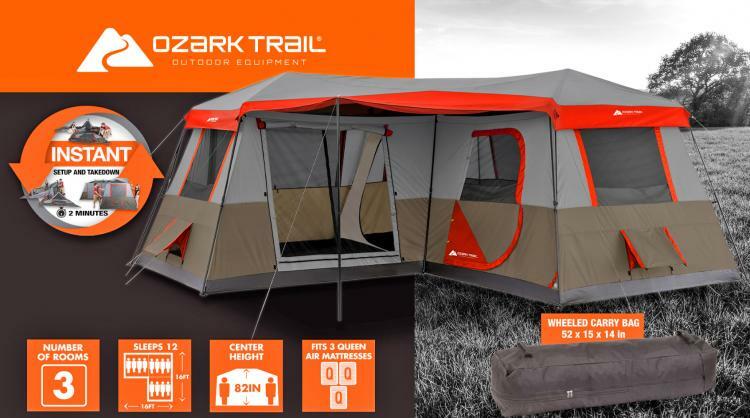 Check out the Ozark Trail giant 3-room L-shaped camping tent in action via the video below.